Pilot Club of Manhattan recently celebrated 30 consecutive years of donating cookies for the Manhattan Red Cross Blood Drives. 50 dozen cookies are donated every 56 days – that’s a lot of cookies! The Pilot Club of Manhattan has adopted the service focus of helping parents and caregivers of those affected by autism. 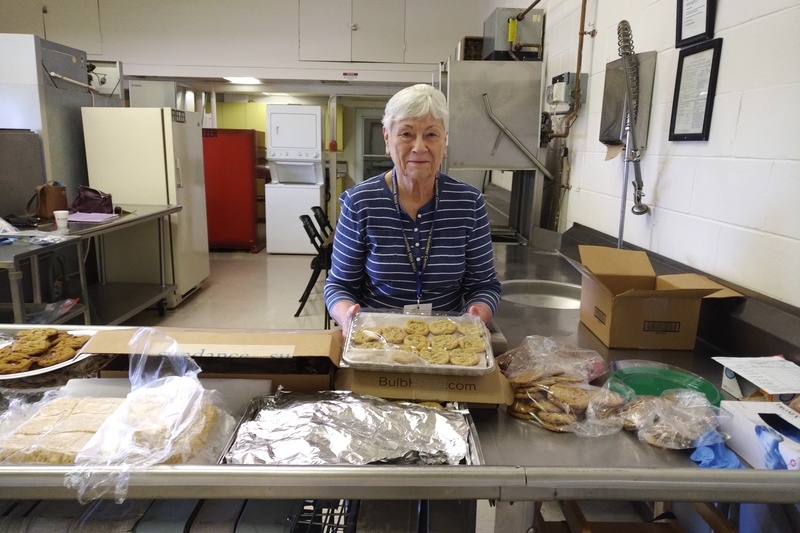 In addition, we are involved in a number of community activities, from assisting the Emergency Shelter and Crisis Center to providing cookies for Red Cross Blood Drives. The Pilot Club of Manhattan is one of three Pilot Clubs in the Manhattan, Kansas, community. In fact, Pilot Club of Manhattan was the first in Manhattan, chartered in 1963. We have chartered the other two clubs, as well as the Clay Center Club. All are part of Pilot International. The Pilot Club of Manhattan meets at noon on the second and fourth Wednesdays of the month at Little Apple Brewing Company. For more information about Pilot Club of Manhattan, contact us at info@pilotclubofmanhattan.org.